When the Crown Point Marching Bulldogs went down to state in 1965 and won 1st. What a thrill that was to be apart of that. Kara is the daughter of Dr. J. Robert and Carole Mayden and one of seven children. She attended St. Mary’s elementary school and was a cheerleader in both 7th and 8th grades. Kara graduated from Indiana University Northwest in Radiologic Technology in 1978 and pursued her interest in Diagnostic Ultrasound at the Maryland Institute of Ultrasound Technology her principal clinical training was at Johns Hopkins Hospital graduating as Valedictorian in 1979. She accepted a position within the Perinatal Department at Yale University Medical Center. This high-risk pregnancy center was known for its pioneering work, in fetal ultrasound, having developed many of the standards, used in managing both normal and high-risk pregnancy. Kara’s main interest is the detection of fetal structural and genetic malformations. Her work includes the performance of in-utero fetal surgery, such as, the transfusion of blood into a fetus with severe anemia or when a fetus has a life threatening blockage to the kidneys. Kara has received national recognition for her contributions to the field of ultrasound and while in college, received the Frederick Sample Student Excellence Award for her work on the Umbilical Vein Diameter in Rh Isoimmunization. 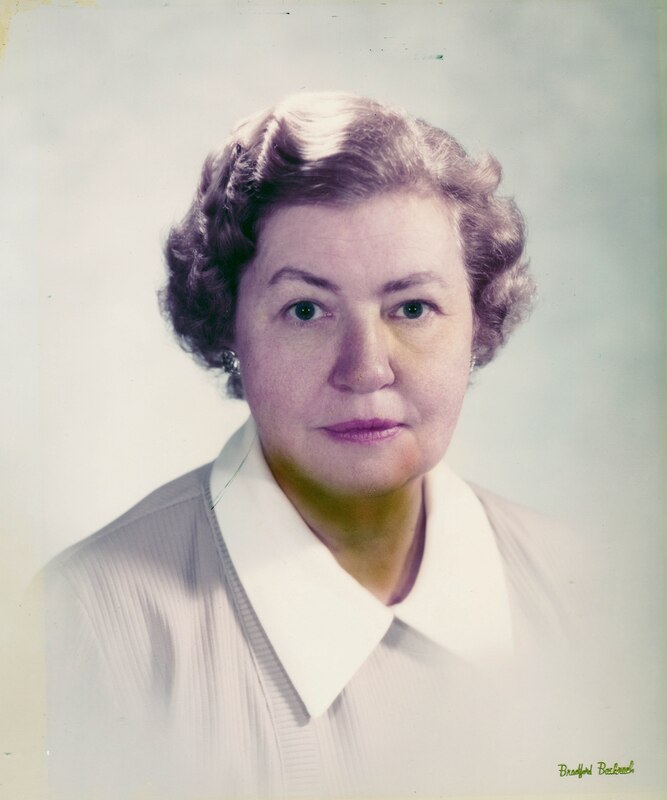 She went on to develop a nomogram which measured the size of fetal orbits, which today, allows the detection of genetic and other life-threatening fetal conditions. Her research was published in the American Journal of Obstetrics and Gynecology in 1983. Kara was a member of Yale’s invitro fertilization program; one of the first in the country. 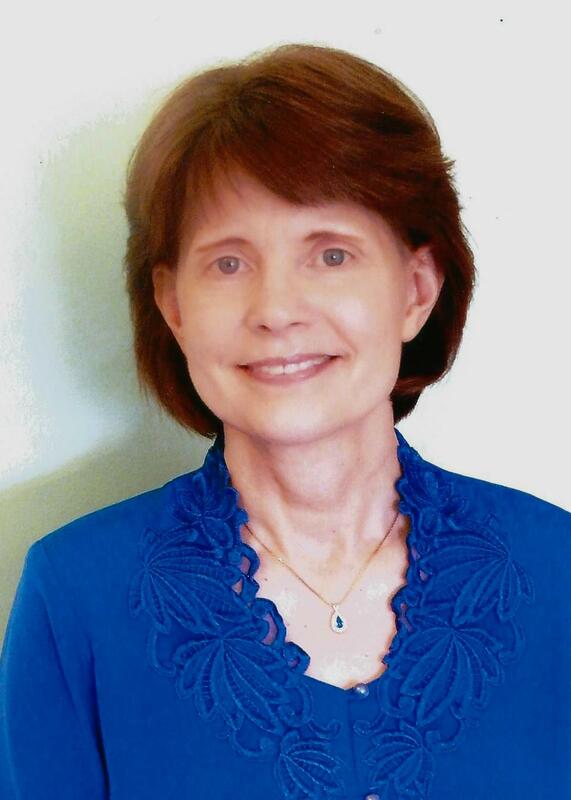 Kara currently lives in Nashville, Tennessee with her husband of 31 years, Dr. Dean R. Argo (Class of 1977). Kara enjoys substitute teaching for special education and elementary-aged students. They have two children, a daughter Taylor, a pediatric physician, at the University of Minnesota and a son, Ben who will graduate from Western Michigan University with a degree in Aviation Management. David Huffine was born in Gary, IN. and moved to Crown Point in time to attend 8th grade at Taft. 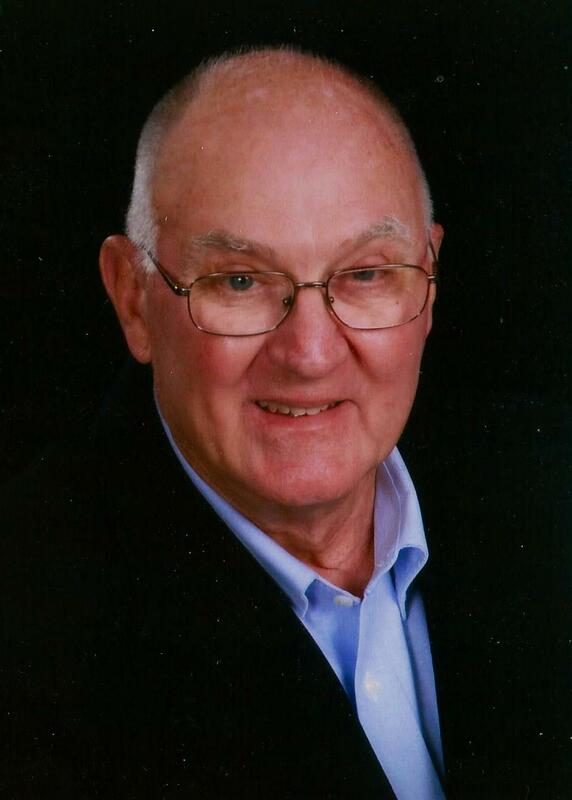 He played percussion in the band and was a member of the 1965 CPHS State Champion Marching Band. He was very active in school publications and was a three year editor of The Inklings. He attended Indiana University, Bloomington where he earned a degree in Education. In 1975-77, he interned at Chana High School, an alternative school in Auburn, CA. while earning a Master’s Degree in Alternative Education. He spent another year there on the faculty. He has enjoyed three distinctly different career paths. In 1977, he left the field of education to become Senior Vice President/Partner of Calumet Securities Corp. in Schererville, IN. He was active in the Indiana mortgage Bankers Association, Lace Count, In. Hospital Authority, and Southlake Center for mental Health. 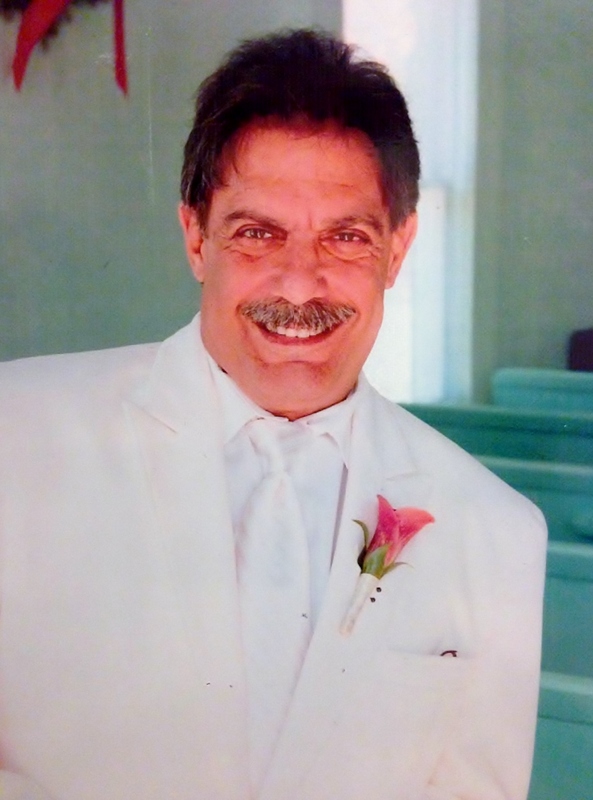 He was very active in Youche Country Club in Crown Point serving as a board member and officer. 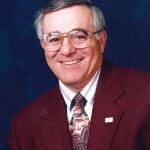 In 1990, he sold his interest in the mortgage firm and moved to Colorado Springs, Co. where he founded Sky View homes, a real estate development firm and manufactured housing dealership, and Sky View Realty. He was active in many organizations. In 1999, he returned to Crown Point, spending time at IU in order to renew his past teaching license. 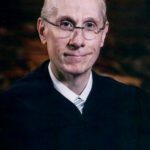 In 2005, he had the good fortune to be hired as the Middle School English Teacher at Morgan Township School, part of the East Porter County School Corporation. He became very active in academic competitions. 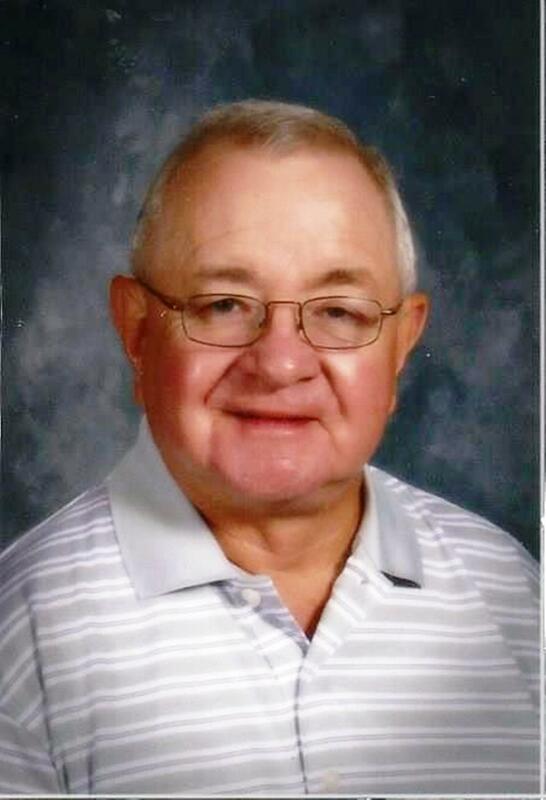 His middle School Spell Bowl team qualified and competed in the Indiana State Championship round for ten consecutive years in which he coached, which broke the consecutive appearance record by four years. He retired after the 2016 school year and was honored to be asked to deliver the commencement address at last year’s graduation. Jean was raised on the family farm in Crown Point, and while attending high school, participated in basketball, track, French Club, and served as vice-president of the National Honor Society. She graduated in 1979 as one of the class valedictorians, and in 1983 graduated from Valparaiso University with highest distinction receiving her Bachelor of Science in Education with a certification in reading. In 1986, she earned her Master of Education from Valparaiso University. Jean taught first and third grades at Watson Elementary School in the Lake Central School Corporation from 1983-1993 until her third child was born. During her years at Watson Elementary, Jean served on many committees. From 1983-1993, Jean was a member of the Kankakee Valley Reading Council serving terms in many officer positions. 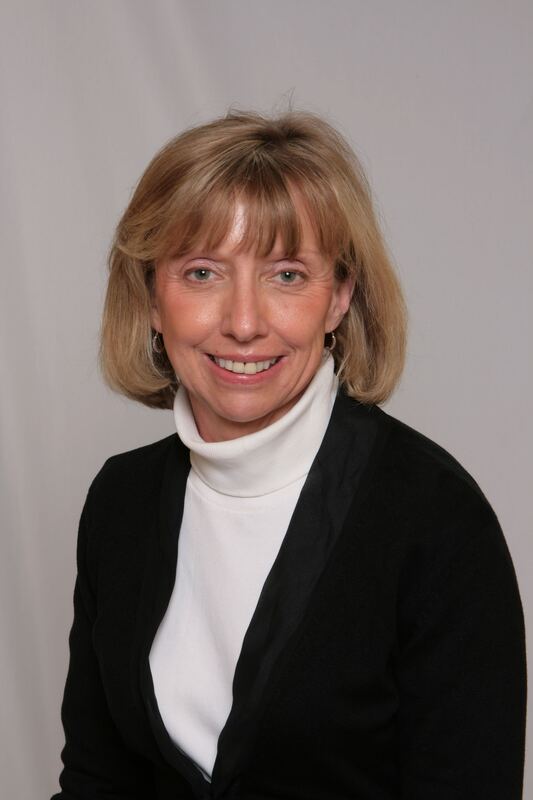 In 1996, Jean received her Elementary Administration and Supervision License from Purdue University. While raising her family, Jean has coached softball and Little League teams, worked on numerous school committees, and in 1998 served on the National Commission Accreditation Team for District Accreditation. Jean sings in her church choir, teaches Sunday school, and has been a Boy Scout leader for 17 years serving as Assistant Cub master and Committee Chairperson and Chaplain, Scout Sunday Chairperson, Merit Badge Counselor, and Blood Drive Coordinator for Troop 48. As a leader, she is the recipient of the Boy Scouts’ God and Service Award and the Cross and Flame Award. Jean and her wonderful husband, Del, have been married for 32 years and have been blessed with six incredible children and one adorable grandson: Eric (Kayla and son, Augustus) works in the business field as a Program Manager; Ashley (Dan) teaches high school English; Adam is a Landscape Architecture Associate; Alex will graduate in May 2018 with a degree in Heavy Equipment and Automotive Engineering; Andréa is a college sophomore majoring in digital media arts/photography; and Anne is a junior at CPHS with plans to become a veterinarian. Jean’s family is the 5th and 6th generation of Wagonblasts to live on the family farm established in 1849, where they raise hay, soybeans, and wheat. To relax, Jean plays fast pitch softball, and enjoys most any other sport, photography, music, gardening, and reading works by Christian authors. Mark was the third of six children to Russ and Marjorie Mallatt, all of whom grew up in Crown Point and attended Crown Point High School. Upon graduation in 1968, Mark attended Indiana University where he received a B.S. degree in 1971, a D.D.S. degree in 1975, and an M.S.D. degree in public health and preventive dentistry in 1997. 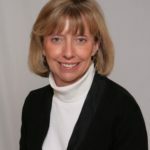 Dr. Mallatt served as Indiana State Oral Health Director at the Indiana State Department of Health from 1997-2007 and was a Professor at the Indiana University School of Dentistry from 1977-2007. He has been a Clinical Examiner, Co-Investigator, or Principal Investigator in over 85 clinical trials relative to the assessment of stain, calculus, gingivitis, periodontal disease, soft tissue pathology, and caries formation. These studies were conducted in Indiana, Ohio, Florida, Oregon, Texas, Canada, and China with total grant funding in excess or $10,000,000. Some of this work resulted in products such as advanced formula Crest, tartar control Crest, Peridex, and Nicorette. 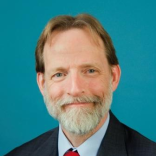 He has published over 50 articles in peer-reviewed scientific journals and has given numerous presentations at local, state, and international meetings. 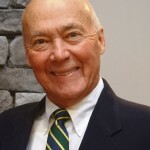 He has been active in community dentistry for over 40 years and served as Chairman of the Indiana Dental Association’s Council on Dental Public Health from 1997-2007. 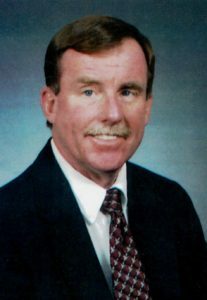 In 1997, he received a Teaching Excellent Recognition Award” for exceptional achievement in teaching as recognized by the faculty” and in 2000, received the Indiana Dental Association’s Distinguished Service Award. 1997-2007. Dr. Mallatt is a member of Omicron Kappa Upsilon National Honorary Dental Society. He was also recognized with the Dr. Charles W. Gish Award for “outstanding leadership to improve the dental health of Indiana citizens” in 2003. Dr. Mallatt credits his success to his parents for their love and guidance in his early years and for their support throughout his career; his participation in scouting during his formative years (Eagle Scout); and to the excellent education and life-preparing skills he received by growing up in Crown Point, and by having had the opportunity to learn from the outstanding teachers in Crown Point schools. Ken Myres was born in Gary, Indiana and grew up in Crown Point. 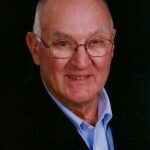 He attended St. Mary’s grade school and graduated from CPHS in 1969. 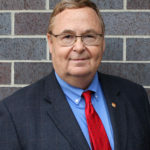 Ken started his professional career in public accounting, joining Arthur Young and Company in Chicago after graduating with a degree in Business from Indiana University in 1973. He moved to San Diego in 1977 where he embarked upon a restaurant career spanning more than four decades. Ken held executive, C-level and Board positions with private and public restaurant and retail companies including Foodmaker, U.S.A. Cafes, Blockbuster, the Metromedia Restaurant Group and Romacorp, Inc. where he was President of Tony Roma’s. He is currently President and CEO of YEBII, which recently acquired fast casual Asian concept Banh Shop. His group also owns and franchises several other major international casual restaurant brands operating in major airports throughout the U.S. and Canada. Ken is a frequent speaker at restaurant, legal and franchise industry conferences and events and also serves on the Advisory Board of the School of Business at Townview Magnet in Dallas, Texas, one of the highest ranked high schools in the country. Ken is married to Debbie (Naum), also a CPHS and IU graduate. They have 3 married children, Erin and husband Josh, Matt and wife Hannah and Megan and husband Austen. They have two grandchildren, Harry and Lilly. Ken and Debbie live in Richardson, Texas but still have many friends and family members in Crown Point. Ken attributes his success in life to his faith, family, friends and the many mentors who have taught and inspired him. Ken will also be happy to share stories with you of the many dedicated CPHS teachers who made an impact on him. Jim grew up in Crown Point on a small family farm just south of town with his three sisters Judy, Jean, Andrea and their supportive parents, Doris and Harry Wagonblast. He was always interested in science, math, and generally “how things worked”. At CPHS, these interests were positively influenced by talented faculty that included math teachers such as Mr. Saylor, Mr. Isley, and Mr. O’Brien among many others in various subjects. Jim managed to letter in baseball thanks to head coaches Webb and Sproat and also participated in wrestling, golf, and various intramural sports. He graduated CPHS in 1977 as one of the class valedictorians. After high school Jim attended Valparaiso University where he graduated in 1981 with a degree in Electrical Engineering. 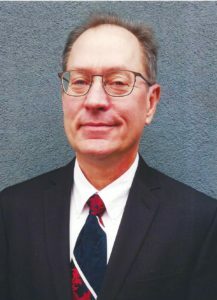 After college graduation, Jim was hired by Hughes Aircraft Company (aerospace, now Raytheon) in California where he enjoyed a 33 year career working on various air defense programs. During that time he completed his Masters degree in Computer Engineering at USC, and worked for a few years as a consultant to General Motors and General Dynamics in Detroit. Outside of work, Jim has spent his time playing some tennis and trying to keep up with his active family members that include his wonderful wife of 33 years Mary, his artistic daughter Christina, his son Joshua currently working as an EMT, and his son Gregory currently attending the University of Pittsburgh under the GI bill. Mary Elizabeth Davis received both her name and a home when she came to Crown Point at the age of 6. She lived on Ellendale Farm in the care of Mary Ellen Davis, who adopted her at the age of 13. She attended St. Mary’s School and graduated from Crown Point High School in 1939. She was class salutatorian; participated in debate, theater and girls’ basketball; and was editor-in-chief of the yearbook.he received a bachelor’s degree from the University of Chicago in 1943, and afterward she remained at the university and taught labs, receiving her M.S. in physiology in 1944. She entered the University of Chicago medical school and received her M.D. there in 1948. After internship at Passavant Hospital in Chicago, she began her medical practice in Crown Point in 1950 as a partner of Drs. Birdzell and Steele, in a building at 124 North Main Street owned by Louise Kincy, where Dr. Birdzell and Dr. John Iddings had practiced together since 1938. 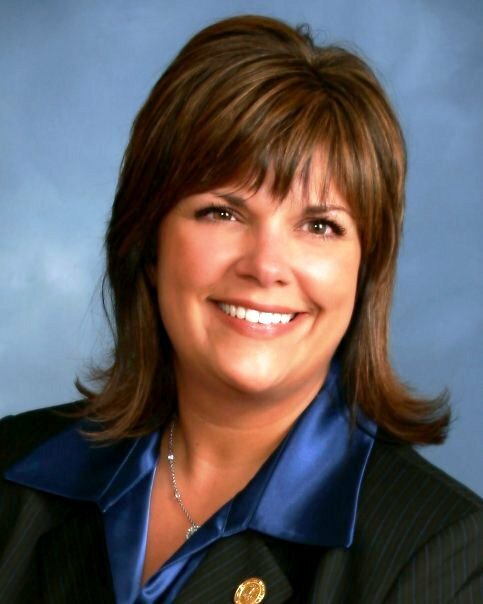 She is believed to be the first female MD to have a general medical practice in Lake County. Action by legislators created the Crown Point Hospital Authority, which approved the establishment of St. Anthony Medical Center (now known as Franciscan Health Crown Point). The hospital opened its doors March 1, 1974. She was on the board from 1974 to 1976 and was chief of medical staff in 1976 and 1977. She was also medical director of the St. Anthony Nursing Home from 1976 to 1995. Dr. Carroll was certified by the American Board of Family Practice. She was a member of the American Medical Association, the American Academy of Family Practice and the Indiana Academy of Family Practice (on the board of which she also served). She was a member of the Lake County Medical Society, serving on its board from 1972-93 and as president in 1981-82. She practiced in Crown Point for about 45 years, retiring in 1995 at the age of 74. She married William F. Carroll in December of 1947, and they lived on Ellendale Farm for the remainder of their lives. 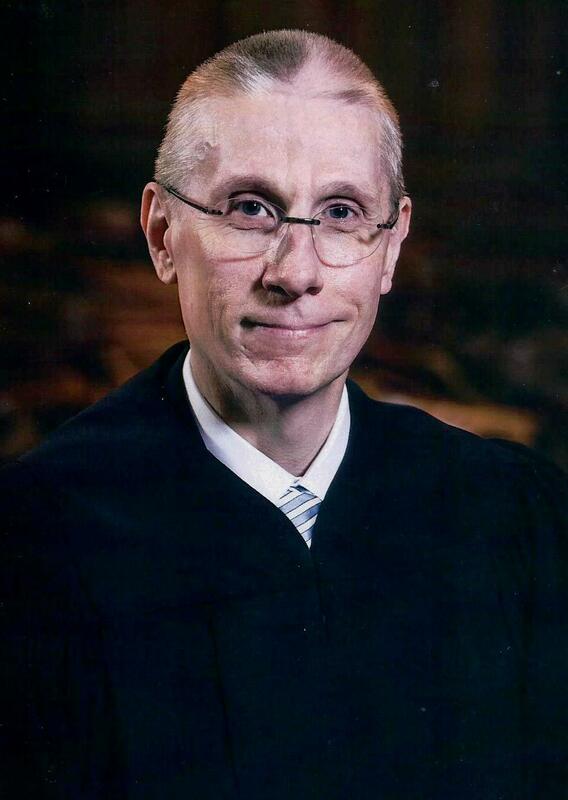 Carroll became a lawyer in Crown Point. In the midst of their busy professions, they raised four children: William Jr., a retired chemist in Dallas, TX; Mary Ellen, a lawyer in Chapel Hill, NC; and James and Catherine, both now deceased. Outside of medical practice, she offered service to the community as a lifelong member of the Tri Kappa service sorority; as a member (and past president) of the St. Mary Home and School Association; and as a member of the St. Matthias Parish Council. Mary Davis Carroll—Dr. Mary—passed away January 23, 2000 at the age of 78. Judy grew up in Crown Point as part of the 5th generation of Wagonblast on the family farm. 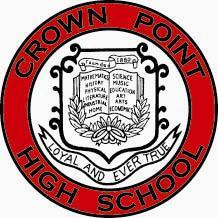 At Crown Point high school Judy lettered in volleyball and track and enriched their interest in the sciences in Mr. Charles “Bud” Bowman’s and Mr. Robert Conard’s classes. She graduated in 1978 as one of the class valedictorians. 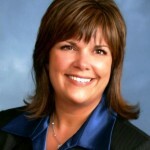 In 1982 Judy graduated from Valparaiso University with double majors in biology and chemistry. From there, Judy attended the Indiana University of Medicine. In 1990 she completed her anesthesia residency at the University of Cincinnati with a fellowship in pediatric anesthesia. Dr. Herting has worked as a pediatric anesthesiologist for 26 years in Dayton Children’s Hospital in Dayton, Ohio. From 1992-95 she served a s the Medical Director of anesthesia. 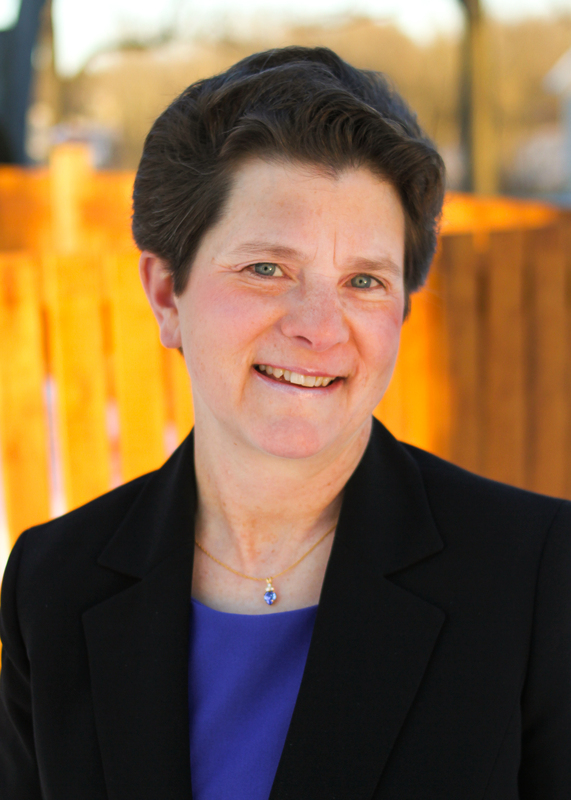 From 2000-2005 Judy moved into the position of President of her private anesthesia corporation, managing the business aspects of her practice. Throughout her time serving in administrative roles, Judy has continued to work three days a week in the operating room and shared in call duties. Outside of work, Judy has volunteered as a Girl Scout leader for twelve years, Church Council member, adult assistant in church youth group for eight years and children’s Sunday school teacher for over 15 years. In her spare time Judy enjoys gardening, biking and traveling. Dr. Herting is blessed with a wonderful husband of 30 years, Carl Herting, and their 3 talented children: Andrew, Daniel and Elizabeth. Their sons are both mechanical engineers and their daughter will be a high school math teacher. Judy attributes her success in life to faith in God, her loving, encouraging parents, Doris and Harry Wagonblast her supportive husband, and many gifted teachers through the years. Dr. Jawor was born in Chicago, Illinois and grew up in Crown Point, Indiana graduating from Crown Point High School in 1989. 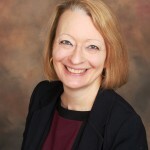 She attended Ball State University receiving a Bachelor’s and then Masters of Science in Biological Sciences and then moved to the University of Dayton to complete her Doctorate. Following a post-doctoral appointment at Indiana University, Dr. Jawor became a faculty member at the University of Southern Mississippi as first an Assistant and then Associate Professor of Biology. Recently Dr. Jawor began a position as a Program Director for the National Science Foundation. 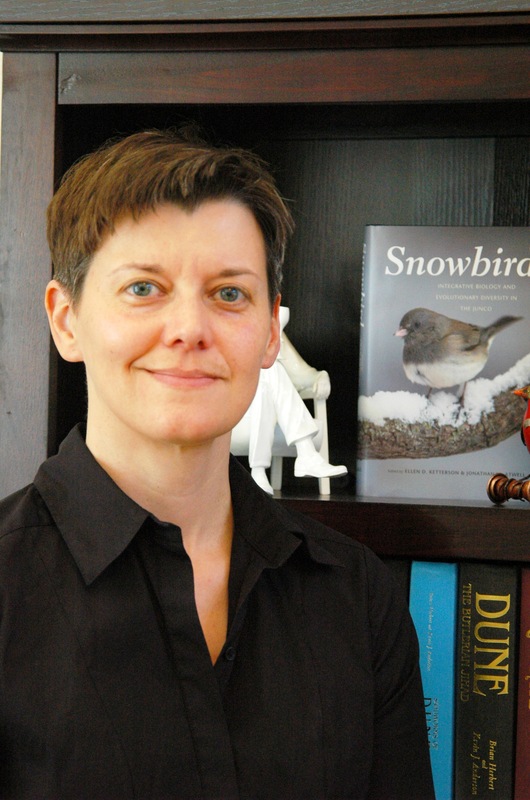 Dr. Jawor is an author on over 30 peer-reviewed scientific publications, is a co-author on a chapter in the book Snowbird: Integrative Biology and Evolutionary Diversity in the Junco, and has had her research highlighted on NPR’s A Moment of Science and other internet media outlets. Dr. Jawor’s research has focused on the evolution and expression of animal behaviors and the hormone mechanisms that control and influence behavioral expression in a variety of bird species. 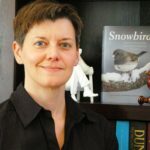 Recently she has begun work investigating the hormonal and genetic controls of vocal learning in adult birds with collaborators at New Mexico State University and Georgia State University. Dr. Jawor and her husband SFC Geoffrey Williams currently live in Texas where, when time permits, they enjoy hiking and bird watching and both plan on getting back into bike riding once life settles down a bit. Mary (Toman) Ragsdale has worked in the field of education for 38 years, as a teacher and administrator focusing on the academic and social development of students with a range of learning needs. After graduating from Crown Point High School in 1973, she earned a bachelor of science in education from Ball State and a master of science in education, with certifications in learning disabilities and gifted education, from Indiana University. 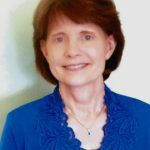 In the 1980s, Mary worked primarily in the area of gifted and talented education, as a teacher and as a consultant with the Indiana Department of Education. Since the 1990s, she has focused on children with learning differences, particularly in the language arts. 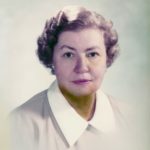 As a founding educator of the Hutson School (now Fortune Academy) in Indianapolis, Mary developed programs and multisensory curricula for students with severe dyslexia and other learning differences. 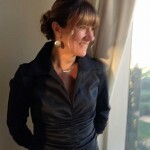 Since 2011, Mary has been a teacher and administrator at the Curry Ingram Academy in Brentwood, Tennessee, a K-12 college preparatory school for children with unique learning styles and learning differences. 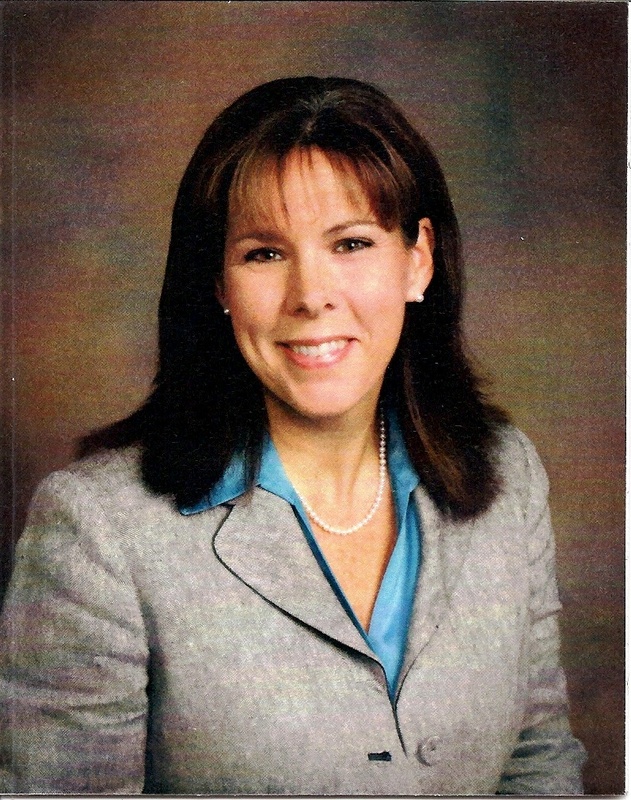 She is currently division head of the middle school. Mary and her husband, Roy, live in Franklin, Tennessee, near Nashville. They have two daughters: Elizabeth, who is a nursing administrator in Shelbyville, Tennessee; and Lynn, who is in 10th grade. 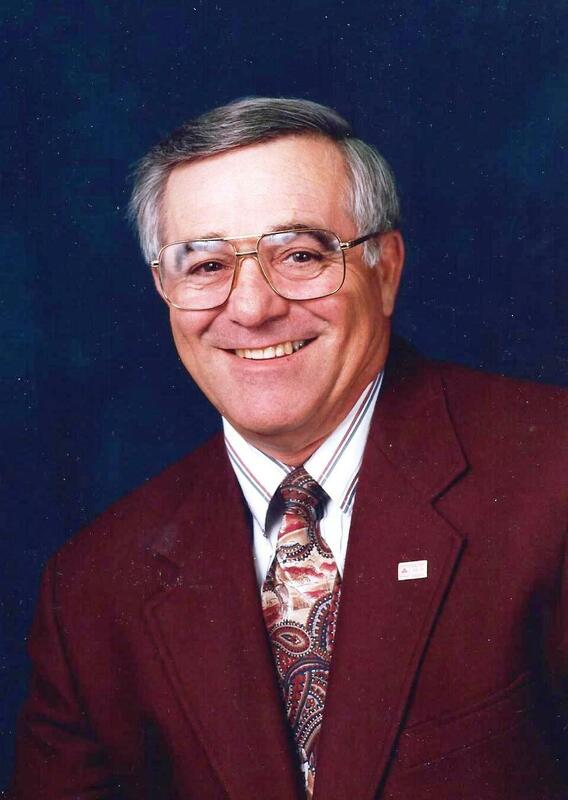 Dr. Lou Sertich was born in East Chicago, IN, and moved to Crown Point to enter Crown Point High School in 1970. He was active as a percussionist in band and orchestra, and in student council, where he served as President his senior year. Lou attended the University of Notre Dame, majoring in economics and pre-med. He graduated in only three years. Loyola University presented Sertich with a Master Degree after completing a research thesis at its Dental School in Maywood, Il. Indiana University School of Dentistry granted Sertich a Doctorate in Dental Surgery in 1982. He then returned to the area to start his clinical practice and raise a family. Dr. Sertich married his high school prom date, Pam Hill, also from the class of 1973. They have three children, Maureen, John and Matthew. Dr. Sertich has had a successful dental practice in Merrillville for 35 years. 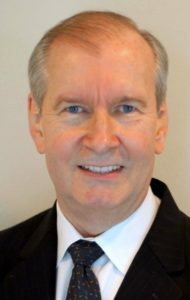 He has earned a Fellowship from The Academy of General Dentistry and International College of Dentistry, as well as numerous awards from the Northwest Indiana Dental Society. For spare time, Dr. Sertich flies a federally seized ex drug plane, enjoys travel and fishing. He is still waiting for grandchildren. COL Andrew C. Dillon, Class of 1986 Mr. Dillon was born and raised in northwest Indiana, with the exception of being a Rotary Exchange student in Belem do Para, Brazil for his junior year of high school. He was active in swimming, cross county, and band. After graduating from CPHS he received an appointment to West Point and graduated in 1990, commissioned as a Second Lieutenant in the US Army Field Artillery. His active assignments took him to various locations in Germany. In 1995 he transitioned to the US Army Reserves, and started his civilian career in logistics. He has been recalled to active duty and deployed several times including Iraq 2003, again in 2004 to July 2005, Afghanistan in 2012 and Saudi Arabia 2013-2014. In March 2014, as a Lieutenant Colonel, he became Battalion Commander of 3rd Battalion, 335th Regiment at Fort Sheridan, IL. In December 2015 he was confirmed by the US Senate for promotion to Colonel. 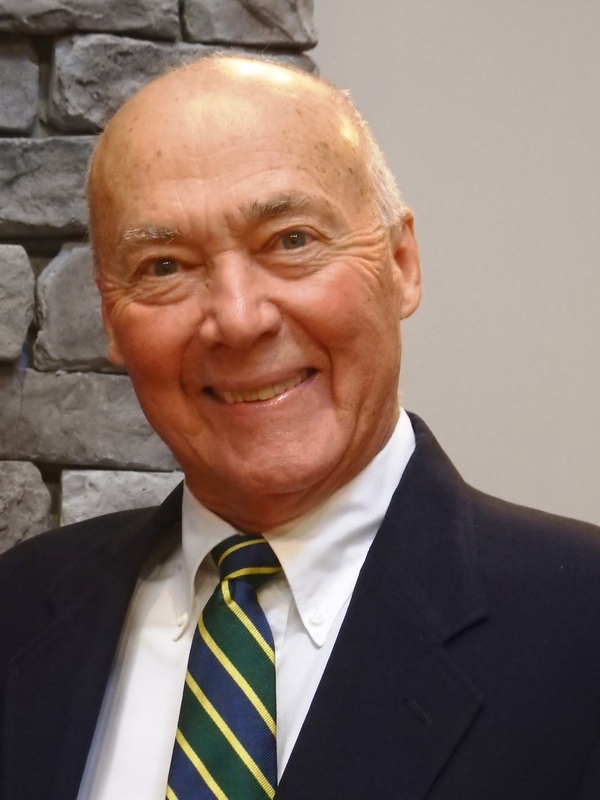 Mr. Dillon has been active in civic and veteran affairs. He resides in Western Springs Illinois with his wife DeeAnn and their two children, Sam and Leah. Barbara J. Toman, Class of 1979 Barbara is a Rhodes Scholar. She was elected from Indiana in 1983 after earning a B.A. in journalism and English at Indiana University. At Oxford University, Barbara earned a B.A. in politics and philosophy and an M.Litt. in politics. She subsequently worked as a staff reporter for The Wall Street Journal in London, covering British politics and the European Union as well as writing general economic and corporate news and features. Since returning to the United States in 1991, Barbara has lived with her husband, Ian Jarman, in Rochester, Minnesota. They have a daughter and a son. Barbara is now a science and medical writer for the Mayo Clinic, specializing in the neurosciences, and a freelance editor. She is an active volunteer in her community and serves on a committee that selects Rhodes Scholars. Michael Toman PhD, Class of 1972 Mike is the son of Robert and Nancy Toman, and older brother to Mary and Barbara. Mike was an honors student at CPHS whose activities included Choir, jazz band, and community youth theater group Mellow-Dramatics. Mike attended Indiana University and the University of Rochester, where he received a PhD in economics in 1983. After moving to Washington, DC, Mike worked for Resources for the Future, a research think tank concerned with natural resources and environmental issues. He also served on the staff of the White House agency, the Council of Economic Advisers. He has worked at the Inter-American Development Bank and the World Bank, international organizations that provide technical assistance as well as loans to eradicate poverty and promote the economic development of lower-income countries. In his current position at the World Bank, Mike has traveled to a number of countries. Mike and his wife, Toi Carter (an attorney at George Washington University), live in Bethesda, Maryland and enjoy attending plays, travel, and quiet weekends at their cabin. Mike’s daughter Julia is a physician doing her residency and his son John is a PhD student in computer science. Keith Perry PhD, Class of 1956 Keith Perry was active in HI Y, science club, FFA, and served as a class officer at CPHS. He competed in varsity football, basketball, and track. He attended Indiana State Teachers College where he majored in biology and health science education. After graduation in 1960 he taught biology at Lowell High School and coached football, basketball, and baseball. In 1963, he was awarded a National Science Foundation Fellowship to Kansas State Teachers College where he obtained a Master of Science degree, with a major in biology and minor in organic and biochemistry. After obtaining his degree he returned to teaching biology at Lake Central High School where he served as Science Department chairman. While teaching, Perry did post-graduate studies in botany at the University of New Hampshire, mathematics and physics at Purdue University, Science Laboratory Techniques at DePaul University in Chicago, and biology and organic chemistry at Indiana State University. During his tenure at Lake Central High School, he served as the Science Fair Director, a Calumet Regional Science Fair Committee member, and presented numerous workshops on laboratory techniques for elementary school teachers. He was listed in the publication Leaders of American Elementary and Secondary Education. He received the Westinghouse Award of Honor for Meritorious Work with science students and was a finalist for the Indiana Outstanding Biology Teacher of the Year Award. In 1976, Perry earned a fellowship to study for his Ph.D at Indiana State University in Educational Administration. After obtaining his doctorate in 1978, Dr. Perry was employed by DeKalb County Central United School District as a building level administrator, later becoming business manager, and then superintendent of schools. Dr. Perry is a firm believer that obtaining a sound education is one of the keys to achieving a successful life. Supporting his belief, he is a regular contributor to the Indiana State University Scholarship Foundation, as well as, providing tuition scholarships to local deserving students. Dr. Perry and his family have lived in Auburn, Indiana, for over 36 years. 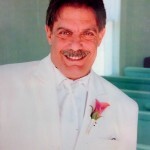 Dr. Joseph Kacmar, Class of 1968 Born in April 1950, he was the third of nine children. They all attended St. Mary’s grade school, graduated from Crown Point high school and completed college degrees. His father worked as a millwright at US Steel in Gary, and his mother was always there for them as a stay-at-home housewife. Dr. Kacmar grew up playing baseball, running cross-country and track, playing basketball and also freshman football. After high school, he attended DePaul University and graduated in 1972 with a degree in chemistry. Dr. Kacmar went on to medical school at Indiana University, completing an M.D. degree in 1976. Following med school, he completed a family practice residency at Methodist Hospital in Indianapolis, and ultimately came to practice in Crown Point in 1979. He joined a practice with Dr. Horst and Dr. Carpenter and has continued in that practice since 1979. Dr Kacmar married the former Barbara Wild (also a Crown Point graduate) in 1973 while still in med school. They have two sons, both of whom are married, and they now have three grandchildren. Over the years, he has been involved in youth sports and has served on various committees at St. Anthony’s Hospital here in Crown Point. Dr. Kacmar enjoys gardening and continues to be active with tennis and golf, although he admits that he is not greatly accomplished at either. 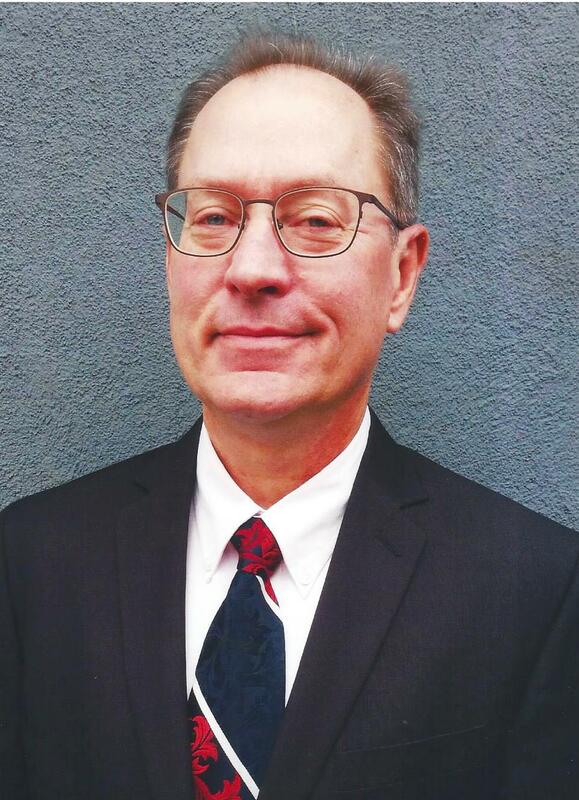 Dr. William F. Carroll, Jr. holds a Ph.D. in Organic Chemistry from Indiana University. He received his M.S. from Tulane University in New Orleans, and a BA in Chemistry and Physics from DePauw University in Greencastle, IN. He is currently Vice President, Industry Issues for Occidental Chemical Corporation in Dallas, and also Adjunct Professor of Chemistry at Indiana.Bill has received Distinguished Alumni Awards from both Indiana and DePauw. He has also received numerous ACS Division and Local Section awards, including the Public Affairs Award from the Chicago Section. He holds two patents, and has over seventy publications in the fields of organic electrochemistry, polymer chemistry, combustion chemistry, incineration, plastics recycling and popular music history.He is a proud member of the Crown Point High School Class of 1969 and is married to the former Mary B. Cooke, originally from Elkhart, IN. They have three adult children, Allison, Will and Quinlan, and reside in Dallas, Texas. 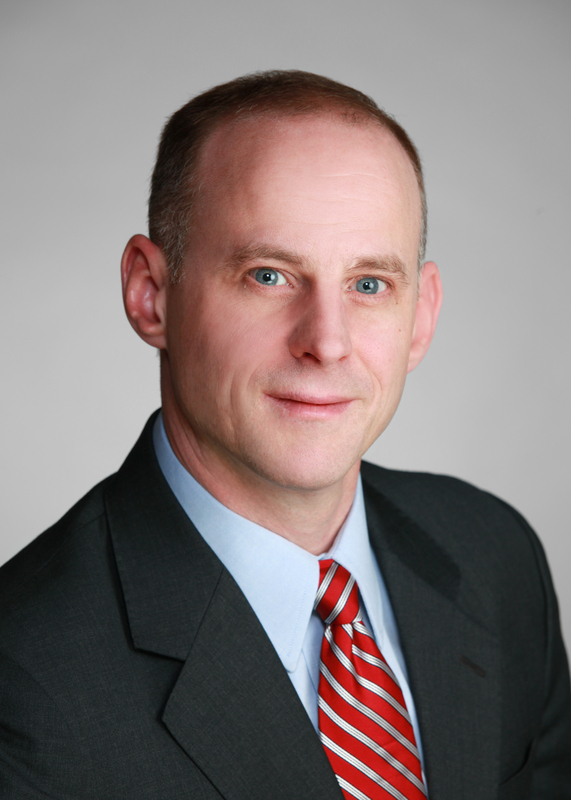 Jim is President and CEO of ACMS Group a construction, engineering, and construction safety company. 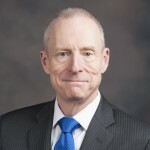 He is a member of Northwest Indiana Business Roundtable Association for Iron and Steel Technology; and the Construction Advancement Foundation. Jim has been a successful businessman since he was seventeen years old. He is very active in the community. Jim is also a member of St. Mary’s Church Association, Alzheimer’s Association, Boys & Girls Club, United Way, and the Fraternal Order of Police. Jim is married to the former Nancy Bibro and has five grandsons and two granddaughters. 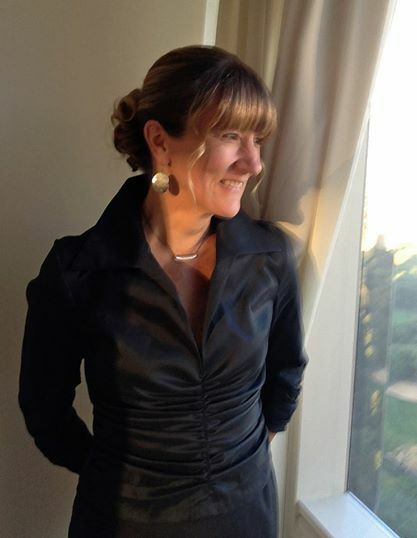 Susan received her Ph.D in Neurobiology from Harvard University and did a postdoctoral fellowship in the Department of Neurobiology at Stanford School of Medicine. She is an HHMI Professor, an appointment that recognizes faculty who are making outstanding contributions to undergraduate education. Susan is an elected member of the National Academy of Sciences. This is one of the highest scientific honors in the U.S. She joined the Dept of Biology at Stanford in 1989. In the lab she and her students study the development of cerebral cortex, focusing on the mechanisms by which newly generated neurons migrate into the proper positions and form correct and specific connection with other nerve cells. Outside of the lab, Susan is often found with a camera in hand. She is an award winning wildlife photographer. Shelli is a former Indiana State Representative for District 19; she has authored and passed several pieces of important legislation for our community. These bills included on-line tax bills, state funded preschool, legislation protecting children from on-line predators and many more. 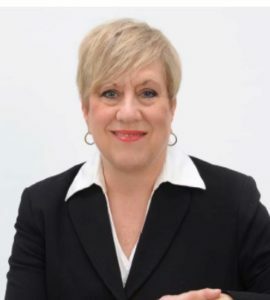 In addition to serving in the Indiana General Assembly Shelli was the first Democratic and the first woman elected to the Center Township Board. Shelli was awarded the American Legion Distinguished Public Service Award in 2013 and was voted the “Influential Woman of the Year” in 2014. Shelli is a champion of women’s equality and has always been an advocate for children and education. Shelli is most proud of her children, R.J. and Baily, whom both are current students in the Crown Point Community School system. Shelli is married to Tim VanDenburgh who is also a CPHS Alumni. Nomination are open please download the application. All applications are due by December 31st, applications received after December 31st will be held until for the following year. 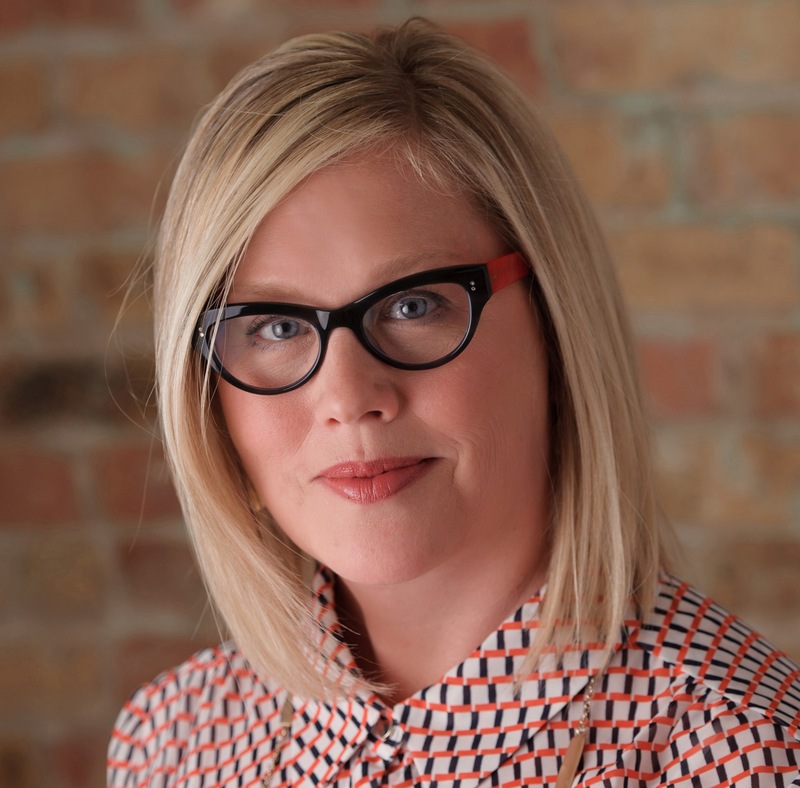 Ms. Caldart is the Executive Director of the Milwaukee Justice Center (MJC). The MJC utilizes volunteer attorneys to help low income unrepresented litigants navigate the court system. Dawn was selected to receive the 2014 National Award from Marquette University Law School for her work in public service. In 2010 Dawn was selected by the Wisconsin Law Journal as a Leader in the Law for demonstrating outstanding leadership, vision and legal expertise in Wisconsin’s law community. 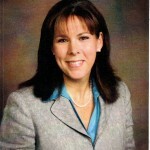 Ms. Caldart is a graduate of Marquette University Law School (J.D.2001) and Purdue University (B.S. 1988) and has a long history of serving the under served. She is a former partner of First, Albrecht & Blondis, where she represented plaintiffs in the areas of employment law and civil rights. 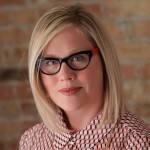 She is also a Former Director of Legal Services at the AIDS Resource Center of Wisconsin, where she targeted HIV and AIDS related discrimination through litigation, education and advocacy. Dawn lives in Milwaukee with her husband, Tom, and her daughters, Alemitu and Selame. Merit is a successful and well respected physician practicing in her hometown community of Crown Point. Merit graduated from Crown Point High School as the Salutatorian along with being a member and co-captain of the Lady Bulldog girls basketball 1984 state championship team along with being named to the academic all-state team. Merit went on to graduate with honors with a B.S. in Chemistry from Valparaiso University followed by attending Indiana University School of Medicine. In 1992 she graduated from IU School of Medicine with High Distinction. She completed her Obstetrics and Gynecology Residency at Indiana University Medical Center in 1996. She is a member of the American College of Obstetrician and Gynecologist along with obtaining the honor of being part of the Alpha Omega Alpha medical Honor Society. 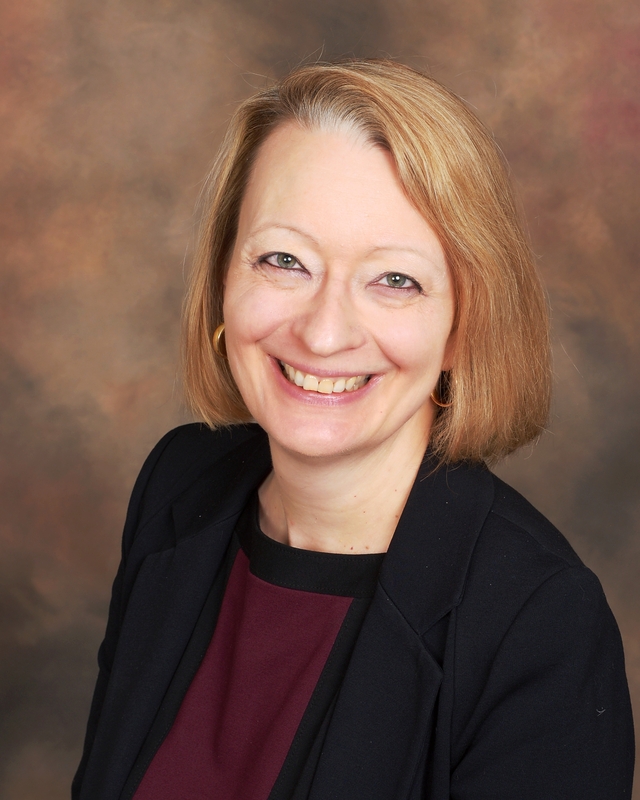 She has received awards such as the Romberg Award for “Excellence in Teaching”, Dr. E.B. Rinker academic achievement award, and Dr. Margaret Hatfield Award for academic achievement. Merit has been married for 21 years with 3 beautiful children. She volunteers her time and supports the Westminster Presbyterian church, Northwest Indiana Down Syndrome Association, and the Munster Band Backers. After Terry graduated from Crown Point High School he attended Manchester College in Indiana. He attended graduate school in Theology and worked as a reporter for the Church of the Brethren before teaching English at Louisburg College in Louisburgh, North Carolina. 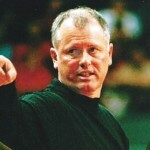 Terry Pettit then went to work at Nebraska University as the women’s volleyball coach where he coached from 1977-1999 helping to build the Nebraska Cornhuskers volleyball program into a national power. 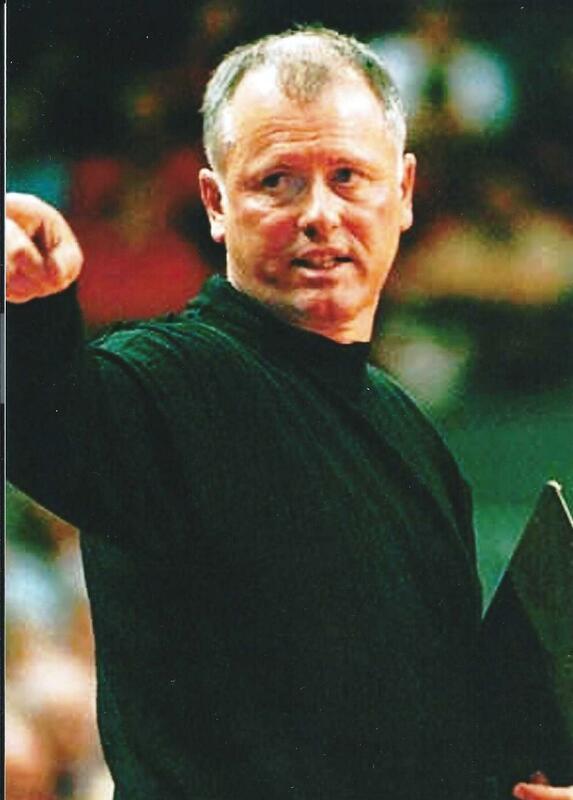 Terry received the Big 8/Big 12 Coach of the year distinction in 1985, 1986, 1989, 1990, 1994, 1995, 1996, 1994 and the AVCCA National Coach of the Year in 1986 and 1994. Dan was recruited by major league baseball right out of high school. He opted to proceed to college. After college Dan went on to be a major league baseball pitcher by proving himself with a mid 90 mph fastball and nasty slider. His pitching career in the major leagues spanned from 1986-2003. He played for the Milwaukee Brewers, Toronto Blue Jays, Chicago Cubs, Pittsburgh Pirates, Arizona Diamondbacks, and Philadelphia Phillies. 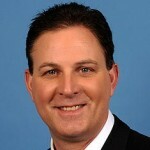 Plesac worked as a news telecaster for Comcast Sportsnet Chicago, co hosting as a highlighter for the Chicago Cubs and pre and post game shows. He is also a horse trainer. Currently he is a sportscaster on Thursday Night Baseball and Quick Pitch. Dan is married to Leslie and they have two children, Natalie and Madeline. Robert “Bob” Rees, Class of 1959 “CAREER” Bob began his childhood in Crown Point and has continued into adulthood. Bob is a 1959 graduate of CPHS. He served in the United States Navy from 1959 to 1962. Bob taught at both Taft Junior High and Crown Point High Schools where he coached and officiated gymnastics, football, and wrestling. He is currently a State Farm Insurance Agent. 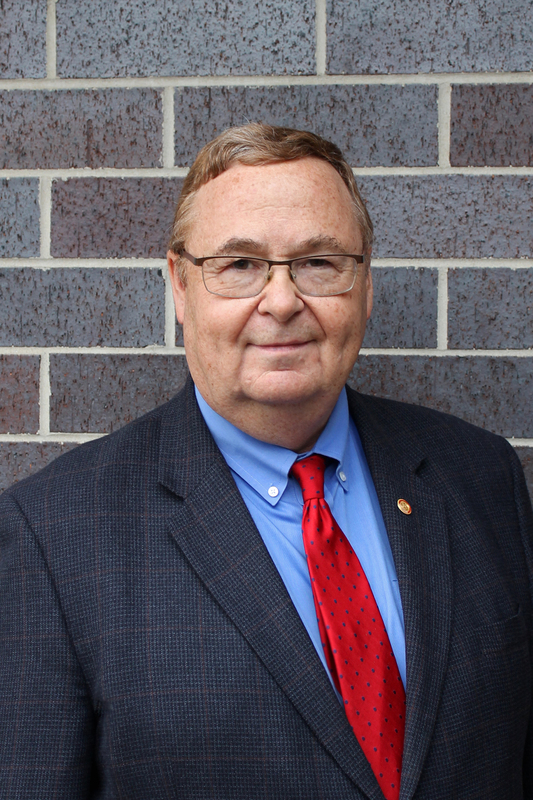 Bob has served on the Crown Point Planning Commission and as a board member of Crown Point School District. 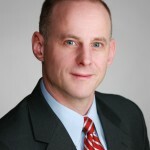 He is currently the President of the Holding Corporation of Crown Point. Bob has always given of himself to the children and community of Crown Point. 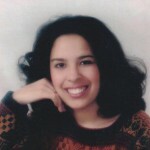 Gina was in the gifted and talented program and participated in the Olympics of the Mind competitions in grades 6-8. Gina played wind instrument along with the clarinet. In high school she was in the marching band and was drum major her junior and senior years in high school. 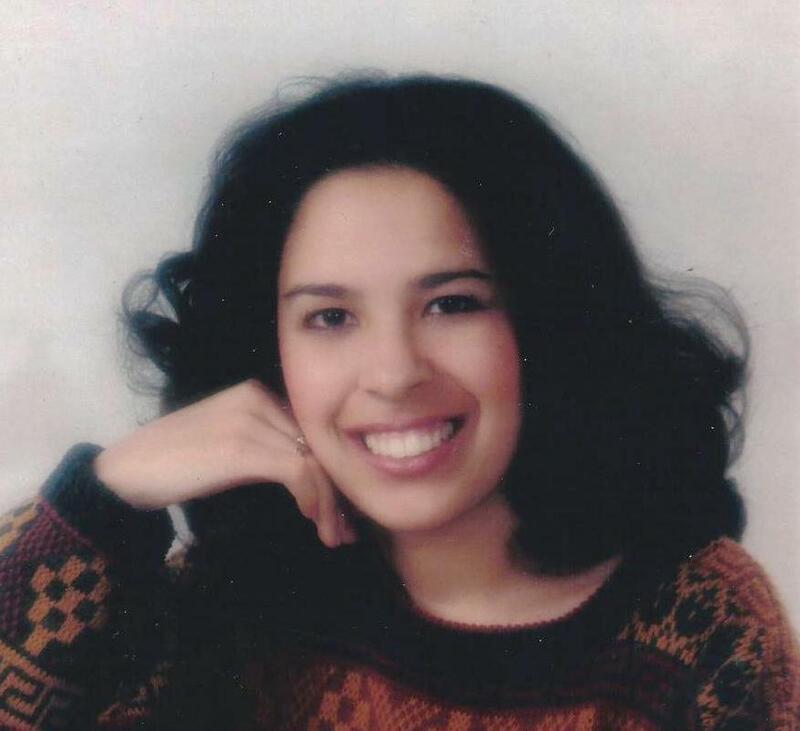 Gina served as Homecoming Queen, a member of the National honor Society and loved school and her four years at CPHS. She attributes her positive experiences in school to her decision to teach. She received her B.S. in Mathematics from Notre Dame. Gina has taught in Texas, Oregon and then decided to adventure to a private Guatemalan school that offered the U.S. diploma to students. Then she and her husband moved on to Costa Rica and the American school that served the embassies and ex-pat community near the capital. Their opportunities for travel took them to all of the Central American countries, Mexico, Colombia and Venezuela. For the past 18 months they have been teaching at an American school in Casablanca, Morocco. Their proximity to Europe enables them to travel to Spain, Istanbul, Portugal, Croatia, Greece, Italy and France.